Probate fraud litigation takes place when a party files a claim to have seen fraud during the probate process. First of all, the probate process is where the court acknowledges an individual to manage a deceased’s assets which are named in the will, otherwise known as a personal representative or executor. If there is no will or if there is no appointed executor, then the probate court shall name an administrator. The actual probate process begins when the executor presents the will and death certificate. Without a will, probate starts when an interested party initiates a petition to register. The court will investigate the death certificate to confirm that the person is deceased. Then the will’s authenticity is verified. If everything falls into place, the executor or administrator pays a fee to acquire official documentation that he or she is the representative of the estate. Gathering evidence will make a fraud claim more substantial. This step calls for subpoenaed documents, depositions, professional expert witnesses, and other evidence presented as per the Rules of Evidence. This evidence can be in the form of documents and paperwork as well as testimonies. They are also subject to objections and scrutiny by the other party’s legal representative. When an individual challenges the will’s validity. If a will doesn’t exist and the deceased’s family members cannot agree to appoint an administrator, a contested hearing will likely take place. A probate litigation attorney in your corner will help avoid improper procedures and weak evidence presentations that will result in the undeserving person gaining control and access over the estate. When an individual claims that the executor or personal representative is operating under fraudulent intent, he or she can present evidence to a judge to support this claim. When an individual falsely turns in a claim for Spousal Election or elective share, which is a portion of an estate which the surviving spouse may claim rather than what they were left in the deceased’s will. When an individual believes that a legal guardian has engaged in fraudulent activities. If a trustee or agent under power of attorney is believed to have committed fraud, an interested party can appoint an estate litigation attorney to investigate and gather evidence to be presented before a judge. If the judge finds the claim substantial and the evidence compelling, then the trustee or agent can be stripped of their responsibilities. 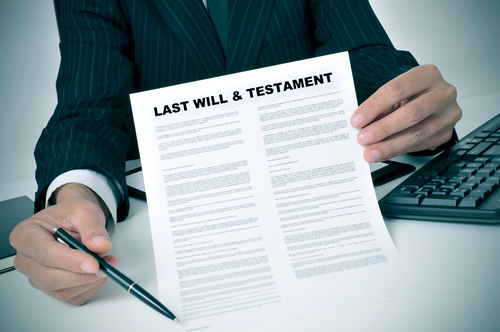 A will is an important document that will administer a deceased person’s assets. When someone has been excluded from a will or a trust, litigation will most likely ensue. These events often happen when an executor or another individual puts pressure or unwarranted influence on the person creating the will not to include a loved one or family member. An experienced attorney can help examine the validity of a will or a trust. If you have a strong basis to believe that someone was influenced or pressured into giving his or her assets away, you can get legal help to recover these items. 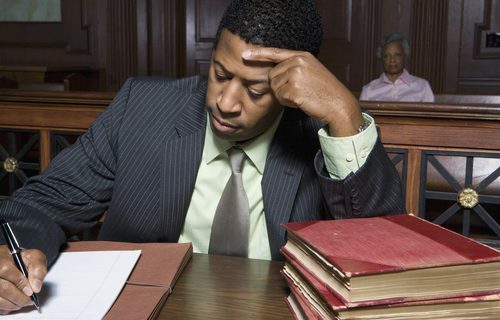 The common issues in this scenario involve examining the validity of transfers of titles to assets including personal property, bank accounts, real estate, retirement funds, and other assets; knowing the rights of heirs and beneficiaries; and examining claims of fraud, undue influence, and coercion. When a person is physically or cognitively incapable of handling and managing his or her affairs, then a power of attorney may be given. This authority allows another person to conduct necessary affairs such as financial and healthcare decisions for the disabled individual. Unfortunately, some people abuse this authority. As such, a power of attorney litigation can help determine if everything is in order. Fiduciaries are the executors, administrators, trustees, guardians, power of attorney agents, and other individuals who have been granted fiduciary duties to manage a person’s estate. If there are any issues with the appointment of fiduciaries, they may be examined through litigation. A beneficiary designation is when a person designates others to take assets (life insurance policies, bank accounts, etc.) Unfortunately, some people plot to obtain the beneficiary designation altered so they will be the one named the beneficiary. This scenario often happens when there are undue influence, fraud, duress, physical and psychiatric issues involved. These events take place when an individual unlawfully take or hide assets of someone else. If someone has illicitly concealed the assets of another person, a probate litigation attorney can help take back and recover those items. In turn, an experienced legal advocate can defend those wrongfully charged with concealment of assets.